WPW041237 WALES (1933). 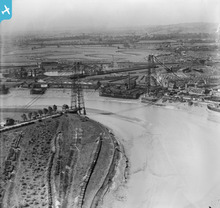 View of Newport Transporter Bridge, oblique aerial view. 5"x4" black and white glass plate negative. Title [WPW041237] View of Newport Transporter Bridge, oblique aerial view. 5"x4" black and white glass plate negative. 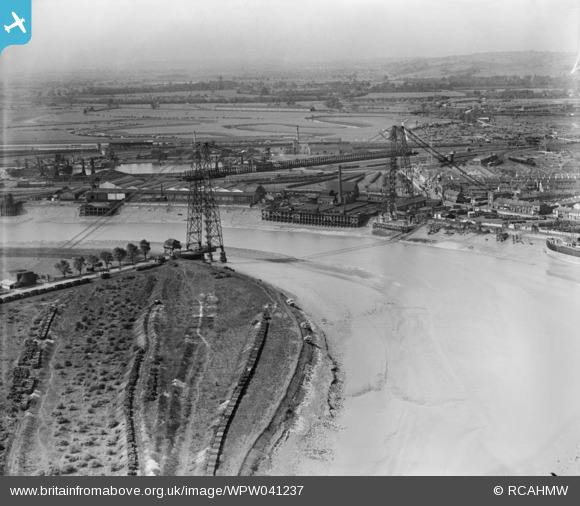 The high tidal range (fairly low tide in the picture) and the need not to obstruct river traffic made the transporter bridge a useful concept - a ferry out of the water. The 'trolley' from which the cradle is suspended. 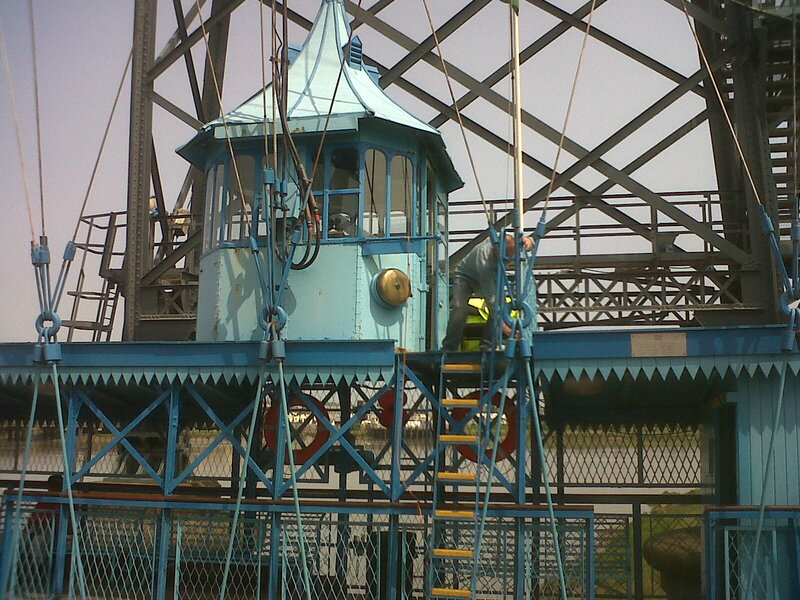 Cradle of the transporter bridge. Copy of an engineer's drawing of the Newport Transporter bridge. would you happen to know who the engineering company was who drew this drawing/general arrangement? or more importantly were I may be able to find a copy? Thanks in advance for your time and help. Hi cmgj The attached photo was taken in one of the rooms at Tredegar House where the drawing was lain on a table, unprotected. I guess that it is a copy. I thought that it was worth photographing. I'm afraid that I didn't make any further notes. What a stunning image of this iconic structure!